The first general election television broadcast featuring British party leaders has started a “battle” of personalities, according to a City academic. 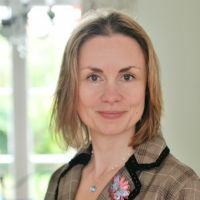 Dr Almuth McDowall, a Visiting Senior Lecturer in Organisational Psychology, believes the UK election campaign will provide voters with a choice “between the leaders, rather than between the policies and the parties”. It follows the separate question-and-answer sessions involving Labour’s Ed Miliband and the Conservatives’ David Cameron on Thursday 26th March. The academic is among the City experts who will be providing comment and analysis during the build-up to the 2015 General Election, on Thursday 7th May. After the programme, polls suggested the Prime Minister narrowly beat Miliband in the eyes of the public, however, the Labour leader received praise in the media for the style of his delivery. Dr McDowall, from City’s Department of Psychology, explained that the role played by personality in political leadership was mirrored in other large organisations. “You find the same thing in research on executives in organisations – their contribution is often overestimated,” she said. The academic suggested viewers’ opinions could be swayed during television debates by “primacy bias”, where a poor start to a presentation, such as a job interview, can give bad first impressions that overshadow the speaker’s following answers. She said: “Cameron's allegedly poor performance can be contributed to 'primacy bias', as he got the first few questions wrong, although he recovered well. Dr McDowall added the broadcast, which is being followed by two seven-party TV debates on 2nd and 16th of April, has set the tone for a personality-led election campaign. Visit our General Election 2015 microsite for more information and details of how to get in touch.